Need help establishing a meditation practice? 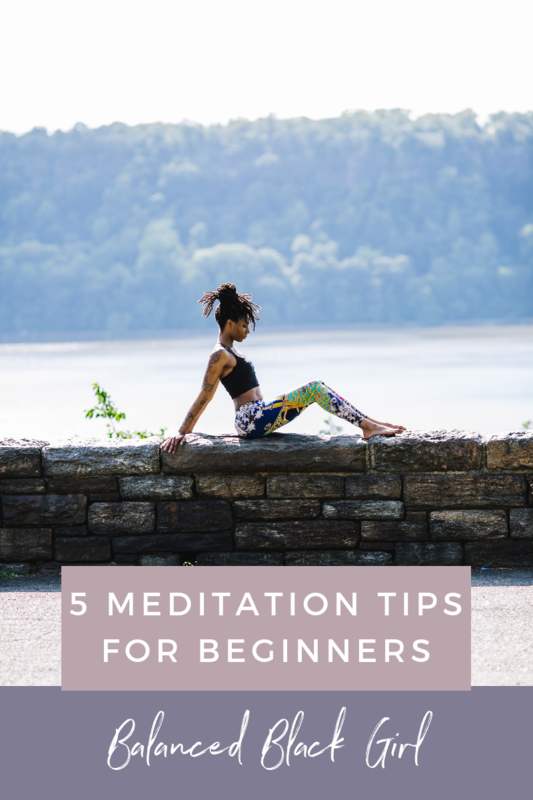 Check out these five simple meditation tips for beginners to help you create your own practice. By now you are probably well-versed in the benefits of medication including reduced stress, increased focus, and improved cognitive skills. Who wouldn’t want that? If you aren’t familiar with the actual practice of meditation, it can feel like there are a lot of barriers to entry. Perhaps it feels a little too “woo woo” for you, or you feel like you don’t have time. Or maybe you have tried it once before but couldn’t get into it because you felt like you couldn’t quiet down your mind long enough to get through it. I totally know what that’s like. Believe me, I do. And if I, the queen of the busy brain, can figure out how to make a regular meditation practice work for me, I promise you can too. Here are five tips for beginning a meditation practice. 1. Time ain’t nothing but a number. With so much going on, it can feel like you don’t have time to sit still. Here’s the deal – you have to fill up your own cup before you can fill up anyone else’s. Time spent taking care of yourself is always worth it, even if it is just for a few minutes. You can get a calming meditation practice in just five to 10 minutes a few days per week. Pick a time when you are less likely to get distracted. Mornings work well for a lot of people (I can vouch for this!). Find a time that works for you and stick with it. If you feel like you just can’t get your brain to stop talking, that’s okay. The point of meditation isn’t to erase all thoughts and feelings. The point is to still feel those thoughts and feelings, and center yourself among them. If your mind starts racing or if you get distracted, it’s okay. Keep breathing through it. If you are experiencing nagging thoughts or negative feelings, your meditation practice could be just what you need to work through them. Let them be, and just keep breathing. 3. Don’t do it on your own. Guided meditations are where it’s at, especially if you are a beginner. Having a meditation to follow along to can really help ward off distractions and keep you focused on the task at hand. Apps work really well for this, and there are also some great podcasts with helpful meditations. A few of my favorite apps include Calm and Rituals. The “Enjoy the Moment” meditation in the Rituals app is my personal go-to. I also love listening to Gabrielle Bernstein’s podcast meditations. Her “Morning Meditation” has been a favorite of mine for years. If you’re using a guided meditation on your phone, make sure you turn your phone to airplane mode. Nothing is a bigger buzzkill than getting a call or text during your meditation. Make sure your space is clear of clutter or distracting items, and sit in a comfortable position (if you choose to sit while you meditate). If sitting cross-legged on a pillow just isn’t your thing – that’s okay! Meditation looks different for everybody. Any activity that allows you to calmly center your mind and thoughts can be meditative. Maybe for you, your yoga practice is meditative. Or maybe you like to run without music, and prefer to meditate that way. Even activities such as painting, adult coloring, and journaling can be meditative. 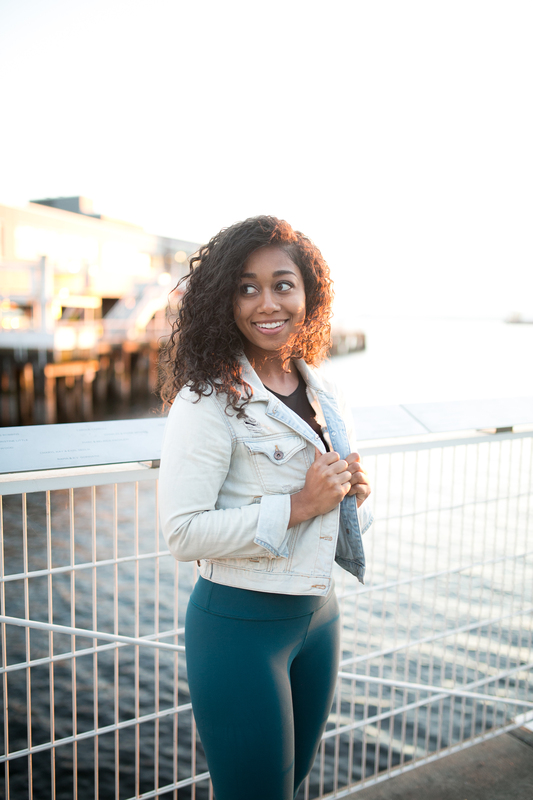 While doing these activities, focus on your breath, stay present in the moment and if your mind starts to wander gently bring your thoughts back to the task at hand. Customize your practice to make it work for you. What are some ways you stick to your meditation practice? Les these are great tips. Meditation has been very beneficial for my life. I like to use the app Insight Timer for guided meditation. This is my first time to your site, very beautiful. I’ll be back soon! Oh as I am reading You Are a Badass she talks about meditation! Something I should probably consider since my brain is also running 100% all the time. I’ve never thought of using as an app as a guide though. Thanks for sharing this Lestraundra! I LOVE You Are a Badass! Such a great book. I need to re-visit it. Definitely go with a guided meditation – that’s what helped me “get” meditation! Loved this post! I am still a beginner to meditating, but I can vouch for each our your tips, they all have helped me form the habit! My sister actually makes guided meditations (they are on my website) and I primarily follow those. If I am having a stressful day at work, I will just go sit in my car for a few minutes and sit with my thoughts and it can make the biggest difference in how I handle the rest of the day! That is so awesome your sister does guided meditations – I will have to check them out! I definitely could also benefit from meditating throughout the day – such a good way to handle stress. Awesome article. Found this post in a blog comment. Will be visiting your blog now. Thanks. Do check my how to get thicker hair guide.